A RUP LIFE: Tom and Jerry Kids Show The Complete Season 1 *NOW* on DVD! Tom and Jerry Kids Show The Complete Season 1 *NOW* on DVD! A copy of this movie was provided by WHV for review purposes. This post contains affiliate links. My kids LOVE Tom & Jerry! I love sharing my childhood favorite shows with them! This DVD is all new featuring Tom & Jerry as children!! Tom and Jerry Kids Show The Complete Season 1 is available at your local retailers or online at Amazon. Tom and Jerry’s rivalry goes way back to the time Tom was just a small kitten and Jerry a baby mouse. Their rollicking adventures as tiny tots are captured on Warner Bros. Home Entertainment’s DVD release of Tom and Jerry Kids Show The Complete Season 1, available April 30, 2013. This entertaining release will be comprised of 13 episodes on a two-disc set, for over four hours of exciting, Tom and Jerry hi-jinks. 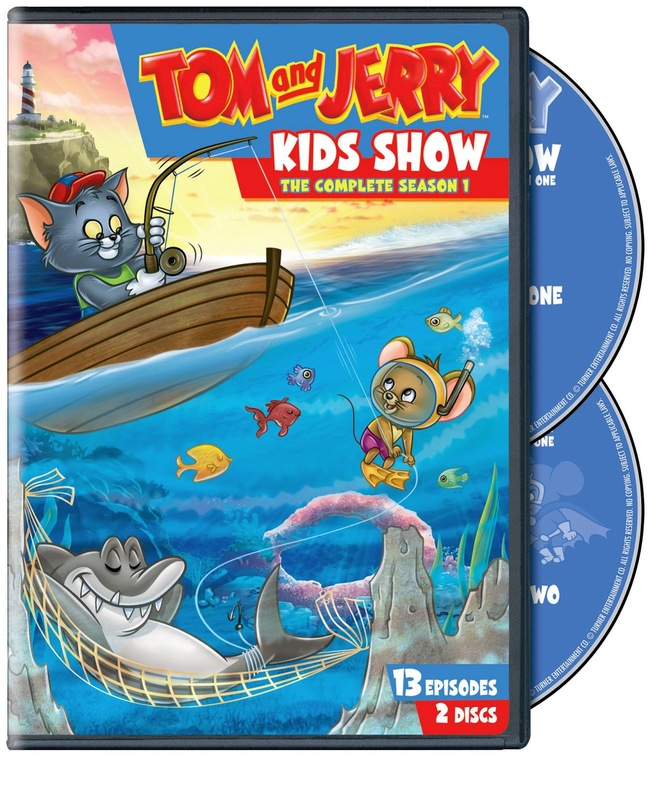 Tom and Jerry Kids Show The Complete Season 1, will retail for $19.97 SRP. On Tom and Jerry Kids Show The Complete Season 1, the popular cat and mouse are featured as adorable little tykes, but don’t be fooled! Tom and Jerry are every bit as rambunctious as kids as they are in their adult years. In fact, their youthful shenanigans set the course for what was to come. Joined by their pals, Droopy, Dripple, Spike and Tyke, Tom and Jerry bring on the giggles and good times in this set of 13 episodes that are sure to make every member of the family laugh out loud. In Toys Will Be Toys, Tom’s nap in a toy store is interrupted by Jerry’s snoring. He resorts to some very playful and creative ways to capture the little mouse by using the store’s merchandise. In Bat Mouse, Jerry is tired of being frightened by Tom and gets a hold of an instructional video tape that teaches him how to become a “Bat Mouse,” a brave superhero-type character who he thinks will finally help him defeat Tom. In Droopy of the Opera, Droopy is a famous tenor known to audiences as Drooperotti. Tom is smitten with a beautiful Southern Belle feline on Sugar Belle Loves Tom, Sometimes. On Medieval Mouse, Tom earns his knighthood but not until after he and Jerry finally stop their scuffling in their owner’s castle. These and several other entertaining episodes are featured on this must-own set. Tom and Jerry Kids Show originally premiered in 1990 on Fox Kids and ran through 1994. I really like your post.Thank you for sharing this post.